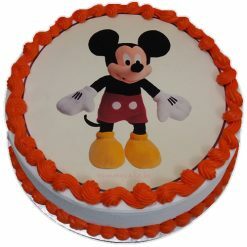 This 2-tier round shaped frozen cake with a penguin on the top and an animal under the cake is ready to rock your party tonight. 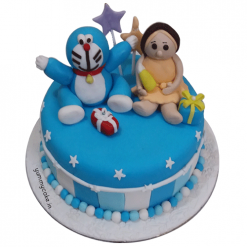 This cartoon-themed birthday cake is a perfect option for celebrating the first birthday of kids who like to glue on their TV sets to watch cartoons. 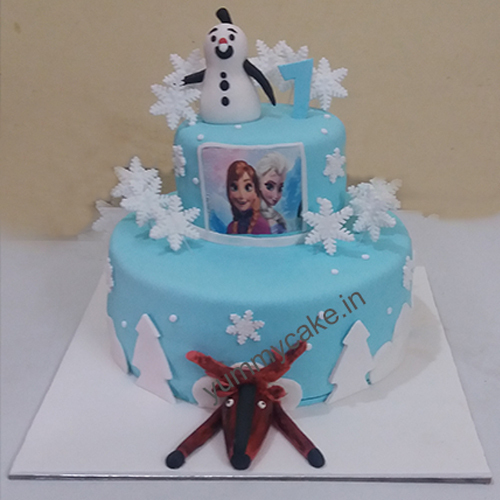 At YummyCake, we offer Frozen cake in different flavors and designs. 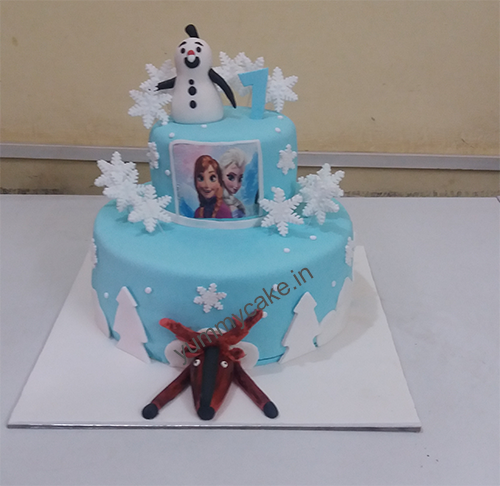 Order Frozen birthday cake online in Delhi NCR and get free shipping. Terms and Conditions remaining are the same for all orders. 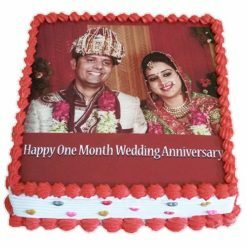 Call us on 9718108300 for quick orders. 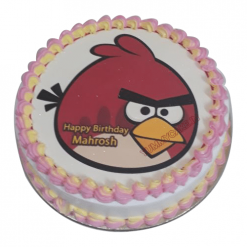 Shipping Policy: Please call us at 09718108300 or Email- [email protected] to book your order.